Written and directed by Safdar Rahman the film features 10 year old Sunny Pawar as the main protagonist. His debut film “Lion” was nominated in 6 categories at the 89th Academy Awards in 2017 & has won him International accolades & awards. The film has a supporting cast of Chandan Roy Sanyal, Masood Akhtar, Sumeet Thakur & Mala Mukherjee in pivotal roles & is produced by Ultra Media, Travelling Light & Victory Media. 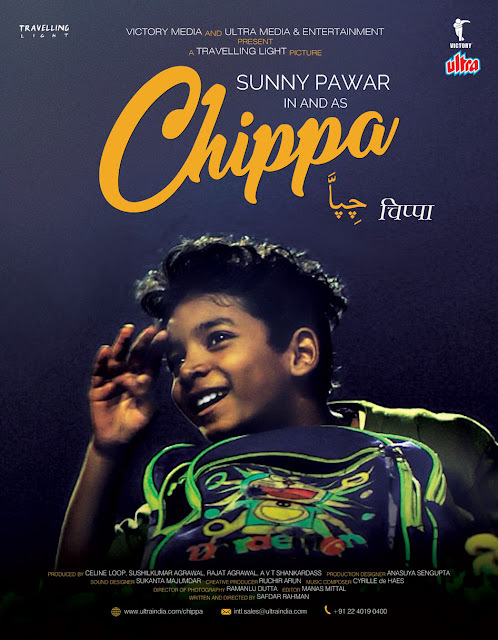 After its debut in MAMI, Chippa will be screened within various International film festivals before its global, theatrical release in early 2019. Chippa is a story about the aspirations of a child who lives on the streets, told through a journey he takes into an enchanting world that he creates himself on one wintry night in Kolkata. The film is an endearing & universal homage to the spirit and the timeless stories of children growing up everywhere. Sunny Pawar played the child version of Dev Patel in the film “Lion”. “Lion” won Sunny Pawar nominations for the Critics Choice Awards in the “Best Young Performer” Category, “Best Actor” by AACTA Awards, “Special Mention Grand Jury Prize” at Asia Pacific Screen Awards and a nomination for the “Young Artist Award”. Chippa is a heartwarming story of a boy, who on the eve of his tenth birthday receives a letter from his long-absent father. He then decides to leave his pavement abode to find out more. The film spans the length of the single night which tracks the fantastical & eventful journey which Chippa takes to discover the connections to his father. The DOP of the film is Ramanuj Dutta and edited by Manas Mittal. The music is composed by Cyrille de Haes & sound designed by Sukanta Majumdar.